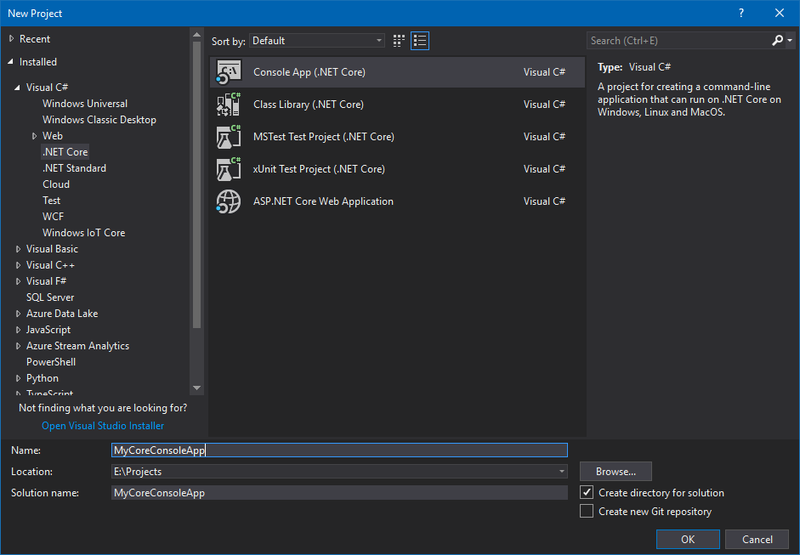 In this blog post, Premier Developer Consultant Randy Patterson teaches us how to set up .NET Core configuration providers in Visual Studio. He shows how to look at NuGet packages to access the Configuration API and then setup the providers as ASP .NET Core web applications. 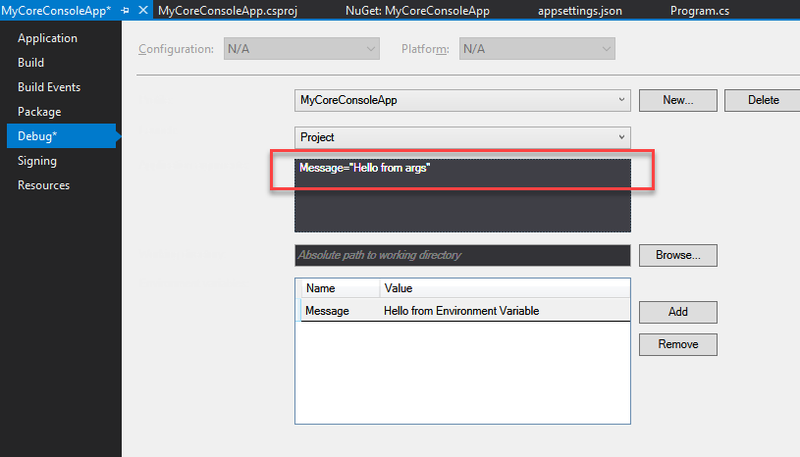 In this article we will look at the Nuget packages necessary to access the Configuration API and setup the same providers as ASP Core web applications. Next, add a JSON configuration file with the name of appsettings.json as the first source of configuration keys. 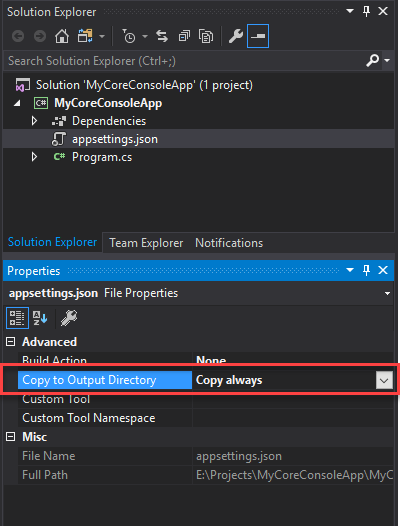 Be sure the property “Copy to Output Directory” is set to “Copy Always” for the newly added JSON file. This will ensure that the file is published with the application. Before we update the application, we need to add the Nuget package that contains the provider needed to load JSON configuration files. Next, replace the contents of the Main method with the following code. This will load the appsettings.json file into the configuration object extracting each property and value. In our case we have one property defined named Message set to the value of “Hello from appsettings.json”. The WriteLine method will display the value of the Message property to the console window. Running the application yields the following output. You’ve successfully loaded configuration data from an appsettings.json file. This will load environments variables into the configuration object and is useful for cross-platform or container deployments. Furthermore, because Environment Variables are loaded after the appsettings.json file, any duplicate keys will replace the values from the appsettings.json file. Looking at the output displayed below you can see that the environment variables provider replaced the Message key that was initially set in the appsettings.json file with the contents of the environment variable. Next, update the Main method to load the new provider. Finally, update the project properties to add a command line argument to replace the Message property with the string “Hello from args”. The property “Message” was set three times. Once in appsettings.json file, then as an environment variable and finally as a command line argument. The last provider loaded wins any conflicts. .NET Core added a powerful and flexible configuration API that is available by default in ASP Core application. Simply adding a few Nuget Packages to any .NET Core application will give you the same flexibility. The order the providers are added to the configuration builder is critical as the last loaded overrides any previous values. By applying the providers in the order specified in this article (Json, Environment Variables and Command Line Arguments) you will have a similar configuration environment found in ASP Core applications.